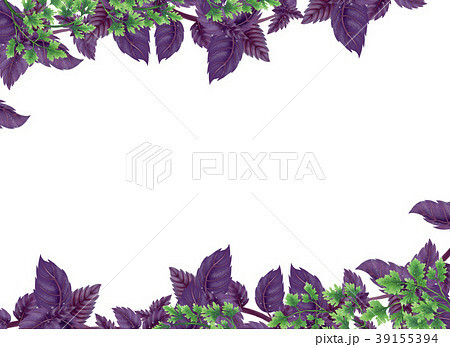 イラスト素材: Illustration of Basil and parsley. Decor of liane. Illustration of Basil and parsley in rectangle. Decor of liane at the top and bottom, in the center of an empty background. Illustration of leaves and branches for decoration.